Customized w/ your logo - Uniball 207 Gel Impact RT for company pens. nosecone, positive click plunger w/ built in auto retract when clipped. Smooth gripper & balance makes a pleasurable writing experience. Uniball Super Gel Ink smoothest writing and an indelible ink pen. 207 Gel Impact RT has a 1.0mm ball producing a 0.7mm line. Price includes one color imprint on the barrel 1.60" w x .60" h.
As managing attorney for a corporate law firm I had to have a quality writing pen with our logo-website-phone. 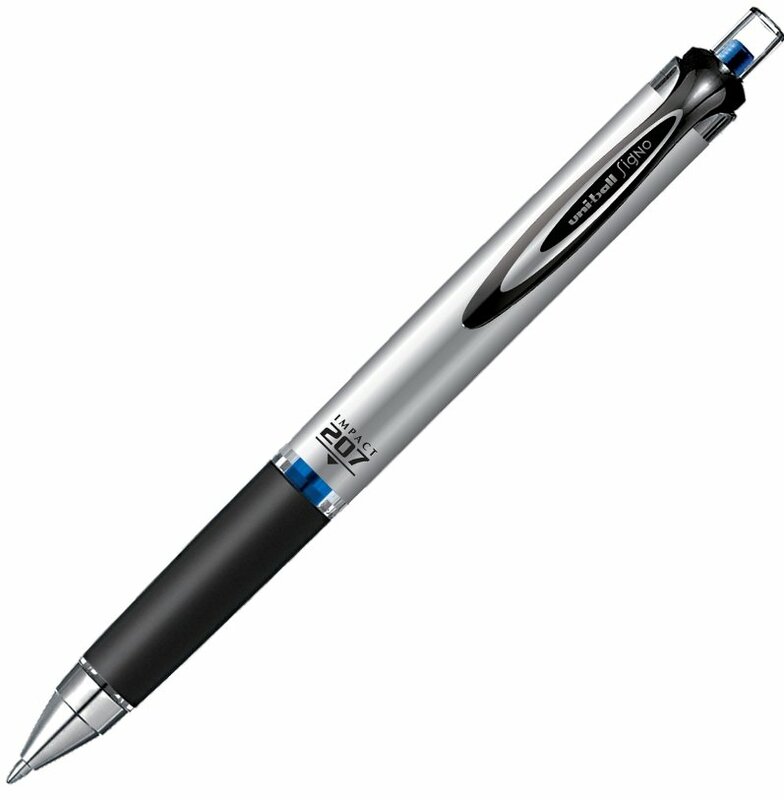 The Uniball 207 Gel Impact RT turned out to be the only pen our clients have ever asked for another on the second meeting. As well the 207 is the perfect pen for in-firm documentation as the blue fraud proof ink assures our firm what is written or signed stays exactly original. Additionally I hand them out to members at my golf club for advertising. This is the pen for our firm!